Architechnologies Inc., ProgeSOFT’s sole distributor in the Philippines organises a free learning progeCAD series in Cebu. Two sessions are going to start: Session 1, September 28th and Session 2, October, 5th. (1.30 pm to 5 pm). Participants are required to bring their own laptop Windows OS and mouse with pre-installed progeCAD 2018 Evaluation copy. Register yourself by filling the form here and then you should receive an email confirmation with your assigned seat number to confirmed your slot. Only 10 seats per session are available. 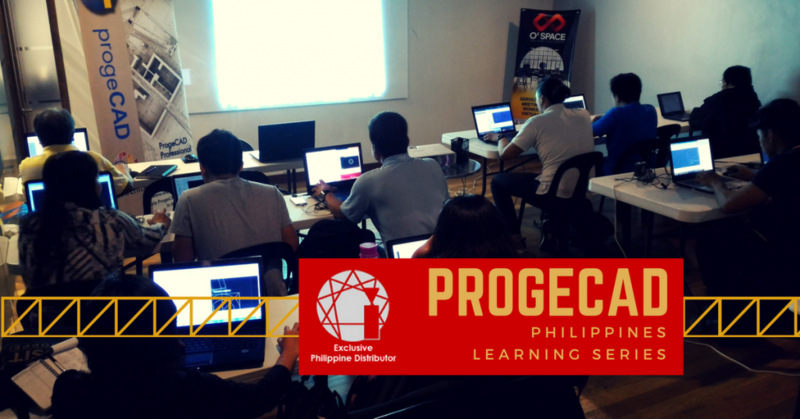 For more details for the progeCAD Learning Series Cebu Schedule, please contact our Distributor at info@progecad.ph or call them at 6332.4125503 / 0917.7793900. We invite you to follow this blog and our social pages on facebook, twitter, google+, linkedin to be updated on future initiatives and share our news. Computer-aided design While most people are using CAD, progeCAD has recently emerged as a replacement for AutoCAD®. 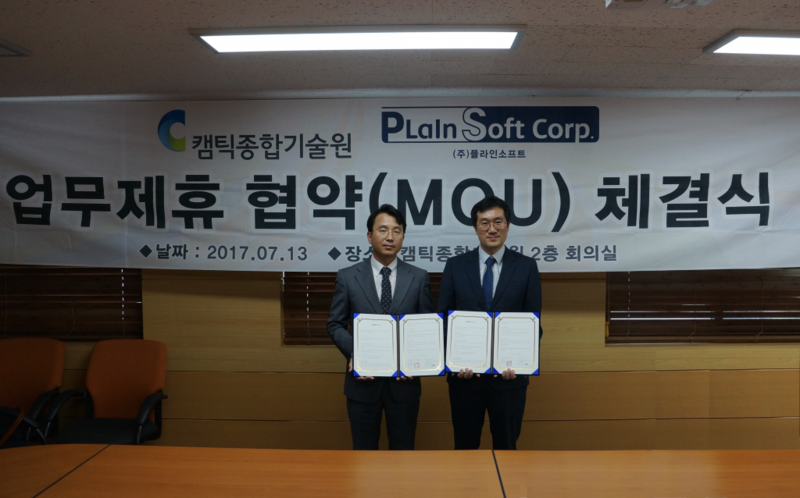 In this regard, Plainsoft, a Korean distributor of progeCAD, has signed a memorandum of understanding (MOU) for mutual cooperation with the CAMTIC Institute of Technology. progeCAD is a universal solution developed by ProgeSOFT, currently used by over 350,000 users worldwide. progeCAD with dynamic input and command autocomplete is stable with AutoCAD® & progeCAD 2D/3D pan, zoom performance test. In addition, it is possible to create a block list related part list by using data extraction and convert PDF file to DWG file. Even those who have used AutoCAD® can easily use progeCAD which is eye-catching. You can load the reusable file that was used in AutoCAD®, so you can use progeCAD CAD easily even if you are a user familiar with AutoCAD®. You can design 3D architecture with one click by supporting various architectural. PlainSoft, a Korean distributor of progeCAD, will share and educate progeCAD infrastructure through this business agreement with the CAMTIC Advanced Mechatronics Technology Institute. progeCAD 2018 is as good as AutoCAD® 2018, and unlike AutoCAD®, which has a rental license, it is a perpetual license and can be used for about 1/7 of AutoCAD in 5 years. pay attention. “We will have an opportunity for many people to use progeCAD more easily, starting with the MOU,” an official from Plainsoft said. Meanwhile, the CAMTIC Advanced Mechatronics Technology Institute, established in 1999, focuses on the three main functions of research and business development, engineering, and education and training, focusing on smart factories, drone, aerospace, Training, and job creation. Architechnologies Inc., ProgeSOFT’s sole distributor in the Philippines presented the new progeCAD 2018 Professional release at CEBUCON, a popular industry event with the focus on the construction and building industry held in SM Seaside City Cebu at the beginning of June. progeCAD is an AutoCAD® compatible 2D/3D CAD application that works with AutoCAD® DWG drawing files from v. 2.5 through 2017 and remains true to the traditional perpetual licensing model. 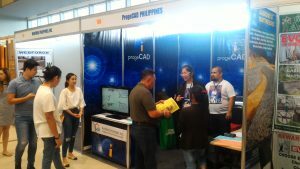 Numerous visitors had a chance to learn more about progeCAD during the CEBUCON Exhibition. “The progeCAD Professional 2018 is our next generation of alternative CAD product in the market set to handle bigger sized files. The best version [eve],” said Ar. Dennis S. Mayo, technical director of Architechnologies, Inc.
“With CEBUCON’s 25th year celebration, it is a very good venue to launch the latest offering of progeCAD. It is our belief that there are still a lot of professionals, who need the benefit of an affordable CAD package. We believe that CEBUCON shares with us the commitment of sincerely serving the AEC [Architecture, Engineering, Construction] industry and with this partnership, we believe we can tap more potential customers and expand our business networks” he added. Architecnologies Inc draw a positive balance of their first participation in the CEBUCON event where the Filipino audiences were able to get to know progeCAD Professional, the CAD software for general drafting. We invite you to follow this blog and our social pages on facebook, twitter google+ linkedin to be updated on future initiatives and share our news. Architechnologies Inc., ProgeSOFT’s sole distributor in the Philippines, will be presenting the new major release of progeCAD 2018 Professional to the local audience at CebuCon. 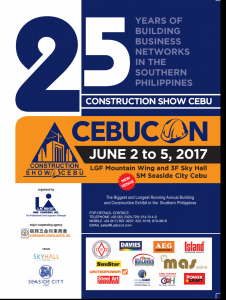 The Cebu Construction Show is set to take the centre stage at the Sky Hall and Mountain Wing Atrium in SM seaside City Cebu, from June 2 to 5, 2017. It is the first time that Architecnologies Inc. will be participating in the Cebu Construction Show which current theme is: 25 Years of Building Business Networks in the Construction Industry in the Southern Philippines. CEBUCON is showcasing product solutions, innovations and expertise that meet the current and future demands of the industry in the region. Architechnologies Inc. believes that there is still great demand for an affordable and reliable CAD package as progeCAD, an AutoCAD® compatible 2D/3D CAD application that works with AutoCAD® DWG files from v. 2.5 through 2017 with perpetual licences. “progeCAD 2018 Professional is our next generation of alternative CAD product, set to handle bigger sized files, this is the best version yet. We believe the event is an excellent venue to launch the latest offering of progeCAD,” stated the technical director Arch.Dennis S. Mayo. “It is our belief that there are still a lot of professionals who need the benefit of an affordable CAD package. We believe that CEBUCON also carries that belief of sincerely serving the AEC (Architecture, Engineering, Construction) industry and with this partnership, we are tapping the potentials and networks unreachable to us (at the Architechnologies Inc.),” – he added. 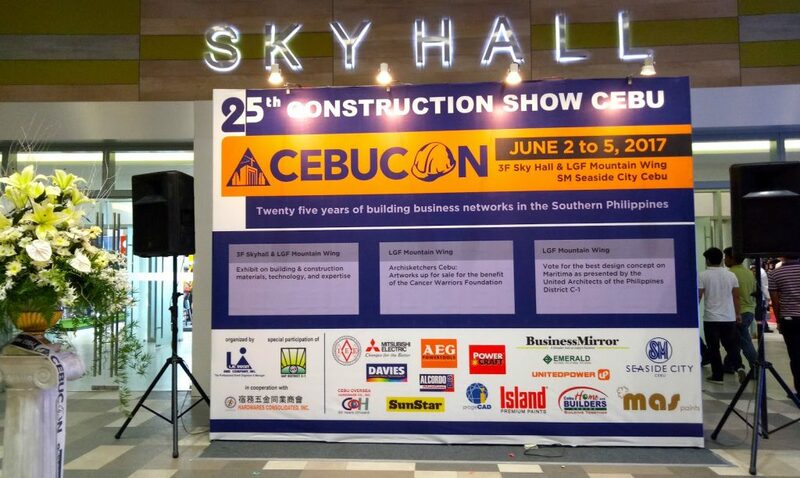 CEBUCON represents a vital trade link between suppliers and their market in the region’s construction industry as the popular venue for product displays, launchings, market tests and networking event among industry trade professionals, suppliers and stakeholders. The progeCAD team will be pleased to demonstrate the software to any visitor at CebuCon, in Booth 106 on the 3rd floor of the SkyHall in SM seaside City Cebu. We invite you to follow this blog and our social pages on facebook, twitter google+ linkedin to be updated on future initiatives and to share our news. ProgeSOFT SA, the developer of budget CAD solutions, is thrilled to announce the release of the next version of its general-purpose CAD package, progeCAD 2018 Professional. progeCAD Professional, the 2D/3D DWG/DXF-native CAD platform with perpetual licensing solutions, is the proven replacement to AutoCAD® and AutoCAD LT®. progeCAD Professional offers standard CAD features as well as numerous handy add-ons such as the PDF to DWG Converter, Block Libraries with over 22.000 blocks, the Raster-to-Vector module, Google Earth integration, Shape file Import, Perspective Correction, the EasyArch plugin for architects, 3D PDF export, Traceparts and Cadenas portals integration with free access to thousands of blocks etc. 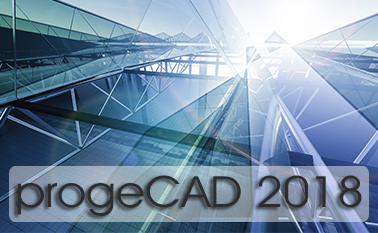 The new version, progeCAD 2018 Professional, is released on IntelliCAD 8.2 and beefed up with further new features and add-ons, proposing to the User a wide range of new efficient commands and options, enhanced tools and features as well as error fixes. To begin with, the brand new easy-to-use Artisan Render module has been incorporated to offer stunning visualisation of design projects with by far greater photorealistic render effects. Artisan makes the high quality render possible even to non-expert Users. Perspective Image Correction is another tool of the new edition added as a result of Users’ intense and multiple requests. The tool allows to adjust perspective distortions of images directly in progeCAD. Simply pick up four points of a polygon on an image and the image will be automatically corrected. Focusing on the new commands in progeCAD 2018, the Superhatch command accessible through the Express Tools menu has been introduced to create amazing hatches out of images, blocks, external references and wipeout objects. Superhatch allows the User to achieve realistic effects and simulate the use of materials, for example, roof tiling, furniture finish or mechanical components materials, even in a 2D drawing. The SHAPE file import is also in the spotlight of the new release. The SHAPE file, the format of interoperability with GIS applications, contains vectors such as points, lines and polygons representing geographic features (rivers, lakes, buildings, area boundaries etc.) and attributes describing this geometry. GIS SHAPE files with data attributes extend the possibilities of geographic data representation inside a drawing. Click here to Watch the Video illustrating the new features of progeCAD 2018 Professional. “progeCAD 2018 Professional is here to make a huge impact on your design process with better performance and reliability along with inviting price tags and perpetual licensing solutions” comments the new release Marco Lucini, CEO at ProgeSOFT SA. Among other enhancements of progeCAD 2018: Object Snap on PDF, DWF and DGN Underlay, Improved Pointcloud, Default layers for hatches and dimensions and the new in-place text editor to name a few. The progeCAD 2018 User Interface has been augmented with the introduction of new menus, image and text ribbon contextual tabs, Fade control on locked layers and Xrefs and new drawing area management. To learn all progeCAD 2018 new features, please refer to the official website and the dedicated YouTube Channel. The ProgeSOFT team invites to download a 30-day fully functional trial version of progeCAD 2018 Professional here. Don’t miss out on any update, follow us on facebook, twitter, google+ and linkedin.